A big part of any home automation/security system is the contact sensors that let you monitor the state of the windows and doors. 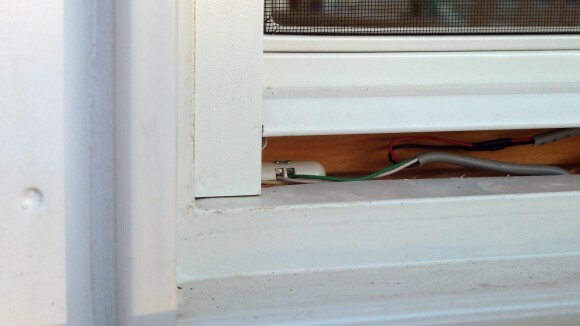 Most often these sensors use a reed switch on the stationary window/door frame and a magnet on the moving window/door. A reed switch is a simple electrical switch that is operated by an applied magnetic field. When the moving window or door is closed the magnet is close enough to magnetically actuate the reed switch and cause it to change state. When the window or door is open the magnetic field is no longer sufficient to actuate the reed switch. This gives indication of the open/closed state of the window or door. 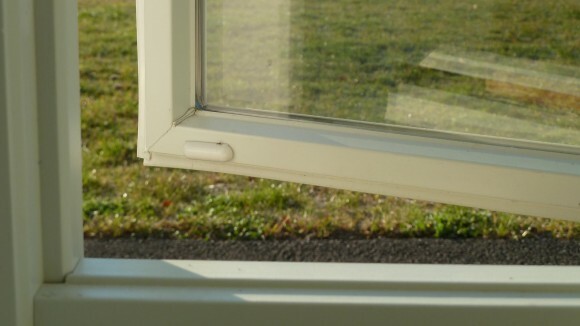 There is a huge variety of different window and door sensors: wired and wireless, surface mount and recessed, some with terminals and others with solderable leads, big ones and small ones, and those that actuate only when the magnet is ½” close and others where it can be several inches away. In researching these sensors I quickly decided on wired over wireless due to the incredible cost difference ($3 vs. $30), my opinion that wired is always more reliable and secure, and from not wanting to change out batteries in the wireless ones every year. 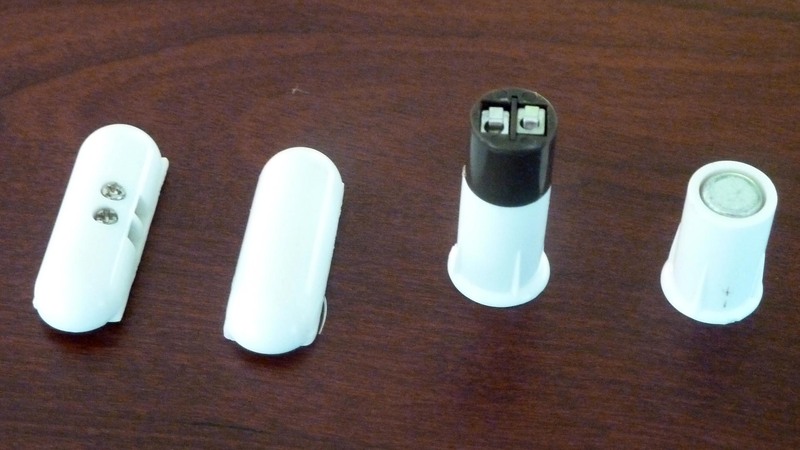 I also went recessed sensors which could be hidden whenever possible, or the smaller pill shaped contacts so I wouldn’t have to see my security sensors. I used terminals over solderable leads for an easier/quicker installation, and around a 0.5-0.75”gap for everything but the garage doors. Below is a side-by-side shot of the two magnetic contacts I used throughout the house. On the left is the Tane Pill TC hidden in the window trim of all my casement windows, and the left the Tane STB 3/8 TC recessed into the door/doorframe of all my doors. Tane Pill TC © – The cure for contact headaches. 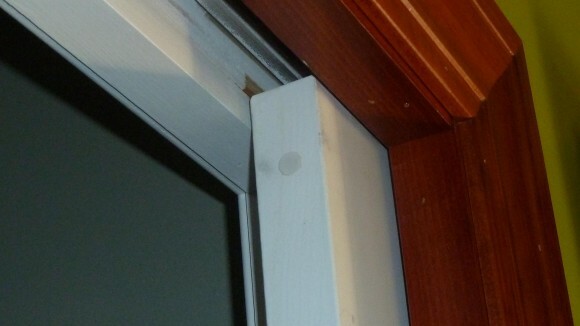 Narrow width of the TANE PILL© allows for window track installs without drilling into the frames. Available closed or open loop. For Fast and Easy Installation. No more soldering or splicing needed. No need to push beanies behind walls through small holes. As you can see, they’re both a very small 1” and very easy to mount using the included 3M adhesive tape for the pill or drilling a 3/8” hole for the recessed. Throughout the house I used the Tane 3/8″ Recessed Contact Sensors. They were very easy to install by drilling a 3/8″ hole in the door frame/door and then lightly press fitting the sensors in with a rubber mallet. Once installed they blend right into the white color of the door/trim for a contact sensor that is almost hidden and completely unobtrusive. 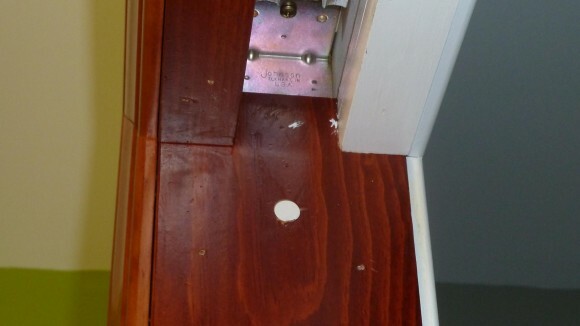 Below, is a white sensor installed into a stained base. I could have certainly color matched this sensor to its surroundings, but with the house having only 1 stained doorframe I really didn’t see the point in purchasing additional colors. I wanted to include this picture because the sensor really stands out. You can see how much better the sensor blends with a white door. It is practically hidden in the rest of the installations throughout the house. As the door closes the magnetic field of the door magnet causes the reed switch in the doorframe to change states and say “I’M SECURE”. The garage doors used a far more rugged, industrial type GE contact sensor with a much larger gap. These were installed on the garage door rail hardware and seemed to be bulletproof. Pretty much set it and forget it. For the window sensors I use the Tain Pill style contact sensors. They were also very easy to install by simply removing the plastic covering the 3M adhesive on the back and sticking them wherever they needed to go. For the casement windows this made for a completely hidden installation with the magnet installed on the bottom corner of the operating window where it tucks into the window trim, and the actual contact hidden underneath the trim. Using electric motors to automate my casement windows opening/closing. If I’m going to do this I absolutely need to know when the window is closed so that I can shut off the motor. Otherwise window operators will be burned up in no time. Entering the house using the family room sliding door when the solar blinds are down to keep the heat/sun out. Once the door is open I can easily automate to raise the door blind. Energy savings and other more intelligent automation rules. I can combine a door sensor with a motion sensor on both sides of the door to detect whether somebody is entering/leaving a place. This opens up all sorts of possibilities! So yeah I could keep going on and on, but what I really need to start doing is stop just writing about all this stuff and get programming! I found your website through google searching for window contact sensor(s) installations. 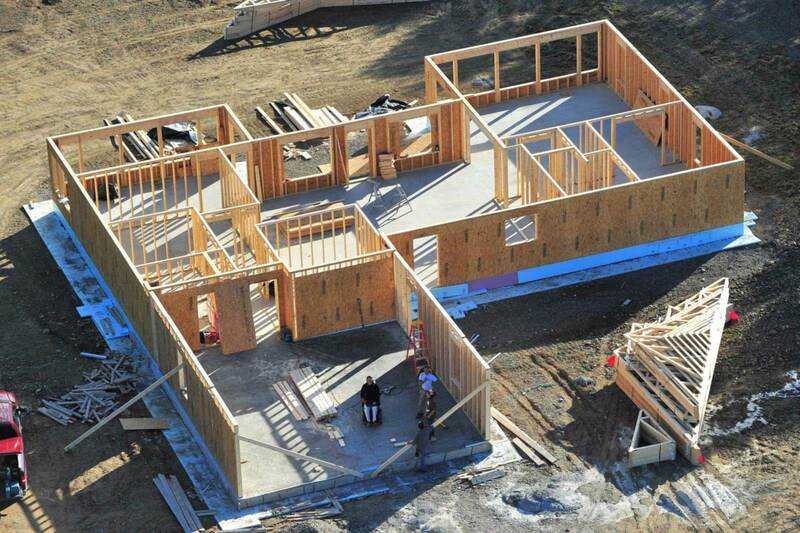 I am wondering if you have more pictures for the window installs you did? Trying to figure out a way to install the sensors without impact to the windows. 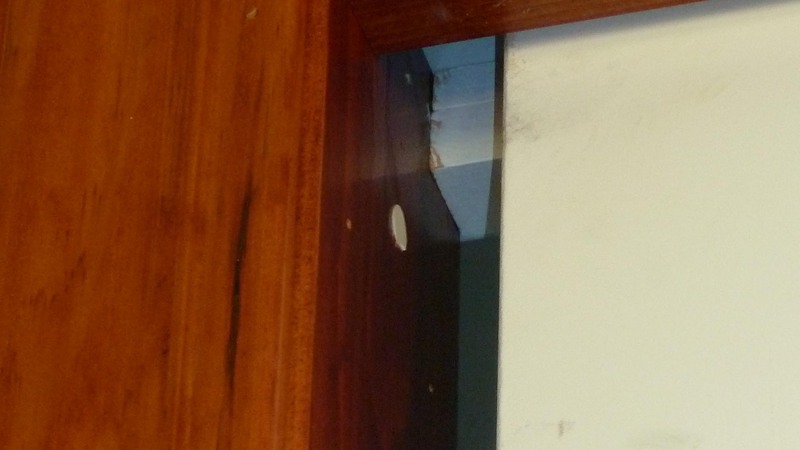 That’s pretty much it for window contact sensor pictures… We pretty much drilled holes and did the installation all in one go without pictures until afterwards. I could take a few more pictures if you have any specific questions/suggestions. Let me know and I’ll pull out the camera. Thank you for the artical. 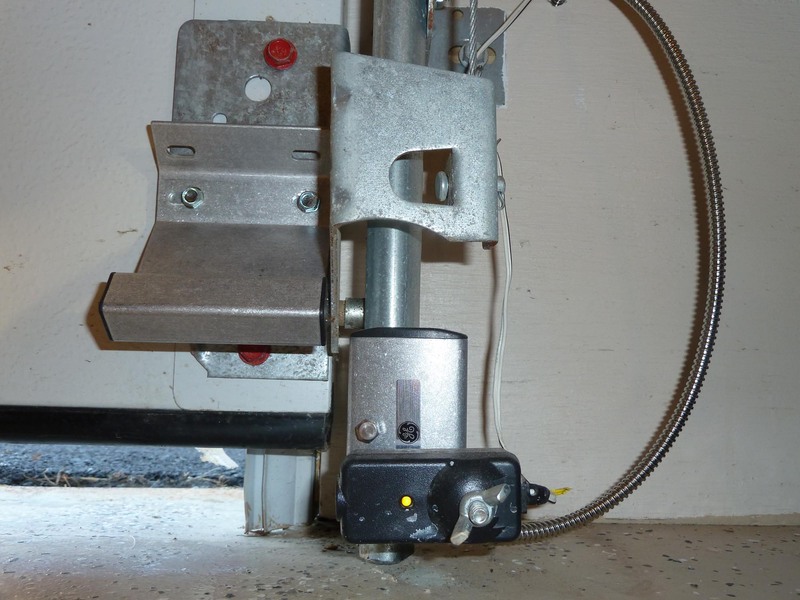 Question, with regard to the garage door sensor…. What model number did you use? What is the benifit of the sensor being at the bottom of the door vs. a top mounted (high) installation? I was wondering, how you connected the sensor inputs to the system? How does it connect to the control board? Have you tought of controller whihc can be queried trhorugh ethernet port? Sensors were connected using two 24 gauge wires direct into the control board. The sensors themselves cannot be queried directly through an ethernet port as they are just a dumb make or break type switches, but I can get all the information I need through the ethernet port of the OmniPro which is accessible using drivers built into most home automation softwares.